The Honourable John Winston Howard served as the 25th Prime Minister of Australia from March 1996 until November 2007. He has been Australia’s second longest serving Prime Minister. Mr Howard led the centre/right Liberal Party of Australia for a total of 16 years. He was a member of the House of Representatives for 33 years. Prior to becoming Prime Minister John Howard had extensive senior experience in both government and opposition. He served as Treasurer (finance minister) in a previous government and led his party in opposition for a number of years. John is a keen follower of sport, particularly cricket and rugby, and was appointed to the Board of the Bradman Foundation on 9 October 2008 and Patron in December 2015. Elected Chairman of the Bradman Foundation, 10 December 2011 and is former Chairman of the Sydney Sixers, the inaugural winners of the 20/20 Big Bash League. He was appointed as an SCG Trustee on the 1st of January 2013. He retired as Chairman of the Australian Broadcasting Corporation in December 2011 and as Chairman of the Australian Securities Exchange (ASX Limited) on 24 September 2008. Mr Newman has been an adviser to Australian governments, as a member of the Consultative Committee on Relations with Japan (1984-1987); a Commissioner of the National Commission of Audit (1996); a member of the Business Advisory Panel established by the Minister for Multicultural Affairs (1997 – 2002); Chairman of the National Judging Panel for Innovation in Local Government (1997-1998); Chairman of the Commonwealth Government’s National Year 2000 Steering Committee (1997-2000) and the Business Mature Age Workforce Advisory Group (2000–2001); Co-Chair of the Singapore Australia Business Alliance Forum (1999 – 2002); Chairman of the Federal Treasurer’s Financial Sector Advisory Council (1998 – 2007); Member of the New South Wales Premier’s Major Events Board (2002 – 2004); Chairman of the Sydney Convention & Visitors Bureau (2001 – 2007); and Chairman of Tourism NSW (2002 – 2007). He served as Chancellor of Macquarie University from 2002 to February 2008; and as a Director of the Australian Broadcasting Corporation from 2000 to 2004. Mr Newman is Honorary Chair of the Macquarie University Foundation; Chairman of The Australian Fathers’ Day Council; Chairman of The Taronga Foundation; and a Patron of CEDA. In April 2009, Mr Newman was awarded a Doctor of Business honoris causa from Macquarie University. He was appointed Chairman of the Bradman Foundation in December 2011. Gavin Solomon is Founder and Executive Director of Primary Markets and Executive Chairman of Helmsec Global Capital Limited, a Pan-Asian Investment House headquartered in Sydney with offices in Melbourne, Singapore and Hong Kong. Gavin is a Sydney based lawyer by background and has held executive and non-executive positions with a range of companies (both ASX listed and unlisted) in commercial fields such as mineral exploration, media, property, and telecommunications both within Australia and overseas. Gavin has over 30 years’ experience in the Australian equity and capital markets, holds a bachelor of Commerce/Law from the UNSW, is a Notary Public and is a member of the AICD. Gavin Solomon was appointed a Director of The Bradman Foundation in December 2011. Ms Matthews is Chief Executive Officer of the Western Australian Cricket Association (WACA). Previously she was the General Manager of Commercial Operations and Communication for Cricket NSW, for over six years. Chris has been a professional cricket administrator for over 30 years at all levels of the game. Chris is Australia’s most capped female Test player and also holds the record for the most dismissals by an Australian wicket-keeper. She represented Australia in 20 Tests and 47 One-Day Internationals between 1984 and 1995, including the 1988 and 1993 World Cups., Chris was Australia’s Vice-Captain, under Lyn Larsen, between 1990 and 1994 and had the honour of leading the side in one match during the 1993 World Cup.Chris has been an Australian Women’s National Selector since 2005-06 and was appointed the Chairperson in 2009. Chris continues to put back into the game through coaching, working with youth squads and targeted individuals. West Australian Cricket has achieved fantastic results under her leadership, both on and off the field. Chris was appointed to the board of the Bradman Foundation in April 2012. Mr Sheppard’s executive career with Macquarie Bank spanned more than 30 years, including four years as Managing Director and Chief Executive Officer. He is currently the chairman of Macquarie Group Foundation, and serves as a non-executive Chairman of Dexus Property Group, Snowy Hydro Limited and Star Entertainment Group. Richard has been a Bradman Foundation Director since 2005. Is Channel Nine’s Director of Sport and is seen as one of Nine’s most talented producers having previously spent several years at the helm of the Today Show before his successful stint as producer of 60 Minutes. Tom oversees the Wide World of Sports coverage. Tom was appointed to the Board of The Bradman Foundation in December 2016. Wally played 3 Tests for Australia opening the batting with Ian Redpath in 1973-74. Wally’s first class record of Western Australia yielded 1,381 runs in 25 matches at an average of 30.68 making 2 first class centuries and 9 half centuries. Wally’s long association with cricket since retiring from the game includes the role of Vice President of the Western Australian Cricket Association since 2000 and being on the board of Cricket Australia for 11 years, including the role of Chairman from 2011 to 2015 which included being an International Cricket Council delegate. Wally was appointed to the Board of The Bradman Foundation in December 2015. Christine is a professional company director and currently Non-Executive Director of three ASX listed boards, Blackmores Ltd, CSR Ltd & WiseTech Global Ltd and one Federal Government Business Enterprise (GBE), the Moorebank Intermodal Company (MIC). In line with her passion for cricket and preserving the heritage and history of the game and our nation, Christine also sits on the Boards of the T20 World Cup and the State Library of NSW Foundation. Christine has an MBA and Post-Graduate Diploma in Management from Macquarie University and is a Graduate of the Australian Institute of Company Directors and a member of Chief Executive Women (CEW). Christine is a member of the Bradman Finance Committee and was appointed to the board of the Bradman Foundation in December 2016. David Josselsohn is a partner at law firm Gilbert + Tobin, based at its headquarters in Sydney where he specialises in private equity and general corporate transactions. 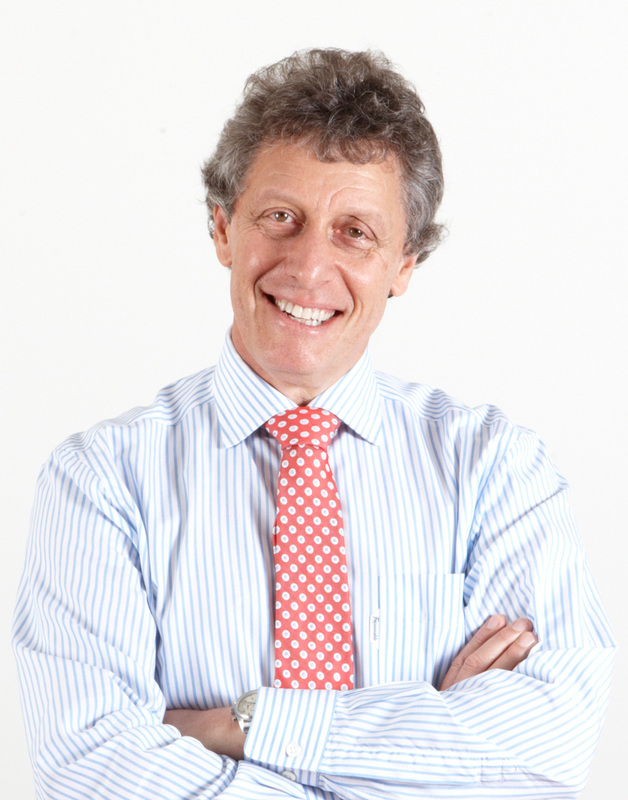 David has previously worked and is admitted as a lawyer in the UK, South Africa and Bermuda. David is an avid sports fan with a particular passion for cricket and cricket development and has coached cricket and football for previously disadvantaged children in South Africa. David was appointed a Director of the Bradman Foundation December 2017. Katie Page is CEO of Harvey Norman and has been instrumental in the growth of the company which she joined in 1983. There are over 200 Harvey Norman retail stores across Australia, when Katie joined the company it had just one. As the first women appointed to the board of the National Rugby League in 2005 Katie is passionate about the role of women in sport both on and off the field. Although no longer on the board of the NRL she still shares a keen interest in the game. Kate is co-owner of the Magic Millions and has been instrumental in the recent growth of the thoroughbred sales and the racing event every January at the Gold Coast. With a property portfolio including the Byron at Byron Resort and Spa and M3565 at Main Beach in Queensland she and husband Gerry Harvey are talented property buyers and developers. Katie is a trustee of the Sydney Cricket Ground and Sports Ground Trust. Katie was appointed a Director of the Bradman Foundation December 2017. Andrew Wildblood is the Executive Director of Premier Business and Growth for Telstra Australia. After an extensive career in the telecommunications industry globally, including Europe, US, Asia Pacific and ANZ, Andrew now leads a team of 650 people with accountability for revenue in excess of $1.8 billion. Andrew has built a career on customer engagement and programs to increase customer advocacy. He has an intimate understanding of customer challenges and packaging solutions to please customers across multiple industry segments. Married with four young children Andrew has an interest in a wide variety of sports with a passion for playing and watching cricket, he is also an active member of the Primary Club of Australia helping raise funds to support people with disabilities in sport. Andrew was appointed a Director of the Bradman Foundation in December 2017. Ms Hore was Managing Director of Bosco Group of Companies prior to their sale in 2004. In cricket, she represented NSW for 17 years as a player and 6 years as Manager of the NSW women’s national league team. Rina is the former Manager of the Australian women’s u/23 youth team and Vice President of Women’s Cricket Australia. A former member member of the Women’s Reference Group for Cricket Australia and Chair of Cricket NSW women’s committee. Rina was the first women appointed to the board of Cricket NSW a position she held for 6 years and nominated for life membership in 2006. A current board member of Highlands District Cricket Association and Chair of DreamCricket Bowral. 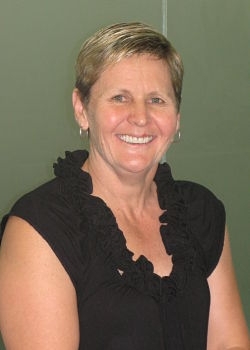 Ms Hore was appointed a Director of the Bradman Foundation in August 2003, Deputy Chairman in December 2005 and appointed Executive Director in December 2006. The Bradman Foundation is deeply saddened by the recent passing of its long-serving Patron, Richie Benaud and extends its condolences to his wife Daphne, brother John and wider family. In late 2002, Mr Richie Benaud OBE accepted the invitation to become the second Patron of the Bradman Foundation. His appointment replaced Sir Roden Cutler who was the patron of the Foundation from January 1994 until his death in February 2002. On accepting the role, Mr Benaud remarked that it is a daunting task going into bat after such a distinguished Australian. Richie Benaud has become one of our most respected cricketers who has been able to establish a sound reputation as a journalist and cricket commentator. He played his first Test in the 1951/52 series against West Indies and quickly developed into one of our best all-rounders. He was appointed captain of Australia in 1958/59 and was at the helm during the close-fought and popular series against the West Indies in 1960/61. He was awarded an OBE for his services to cricket in 1962 and retired from the game two years later. He had already established a career as a journalist and commentator when he joined World Series Cricket as a PR consultant in 1977. He was instrumental in developing the television commentary team and has since been the main anchor for the Channel Nine telecasts. A good friend of Sir Donald Bradman’s, he eloquently spoke for the world cricket fraternity at his memorial service in Adelaide in March 2001. Mr Benaud had been the Patron of the Bradman Foundation for 10 years and officiated at the Bradman Gala Dinner since its inception in 2006.